I have been a Ronda Rousey fan since I watched her debut at UFC 157 on February 23, 2013 when she defended her title versus Liz Carmouche. I remember watching the pre fight trailers thinking she is going to be a star. Fast forward two years and she's still on top. Ronda "Rowdy" Rousey is highly known for her superiority in the Octagon. She is the Undefeated UFC Women's Bantamweight champion and an Olympic medallist in Judo. Ronda was also recently given the title of "World's Most Dominant Athlete" by Sports Illustrated. Aside from her MMA career, we have also started to see Rousey appear films including Expendables 3 and Furious 7. She also has a part in the new Entourage movie that will be premiering next month. 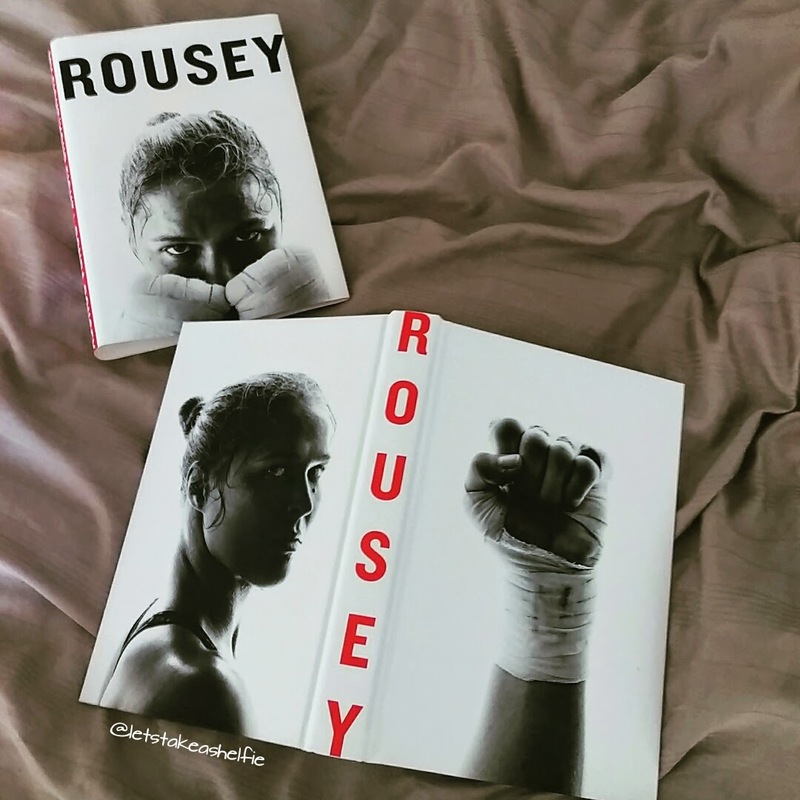 Rousey's debut book, My Fight Your Fight, is an open and inspiring memoir on what it takes to get to the top. The book begins with a forward by UFC President, Dana White. His respect for Ronda is very evident as you read through the pages. He believes that she is a role model for women and girls. Dana also calls Rousey a "game changer" on more than one occasion. In My Fight Your Fight, we get an in-depth look on what it takes to become a champion. Ronda's sheer determination to come out on top in combination with the (sometimes tough) love and support of her parents has been a formula for success not only in the octagon, but in life as well. "Life is a fight from the minute you take your first breath to the moment you exhale your last." My Fight Your Fight is a phenomenal book, one of the best I've read this year! The book was motivational and at times quite hilarious. The style of writing fit perfectly to Ronda's story. It almost feels like you are reading a really long letter from a longtime friend. I would not hesitate recommend this book to anyone. But, I think aspiring athletes who are looking for motivation and/or a manual on how to succeed in their sport may enjoy it a bit more than others.